Reno Omokri, a former Aide to ex-President Goodluck Jonathan, has alleged that President Muhammadu Buhari left his conscience in London where he went for medical check up last year. 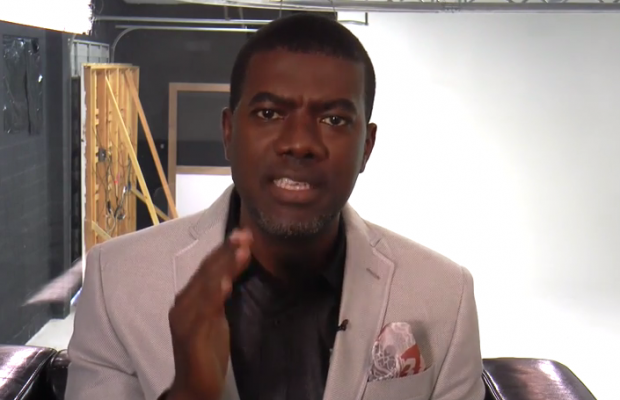 Omokri, in an article he shared on Facebook, wondered why President Buhari and his helpers should respond to the killing of over 200 people in Plateau State by releasing the list of killings that occurred during the sixteen years of the Peoples Democratic Party, PDP. The former presidential aide described Buhari’s action as childish, adding that the APC government has only succeeded in reducing the sanctity of lives of Nigerians. He wrote, “On Thursday, June 28, 2018, Femi Adesina, President Muhammadu Buhari’s spokesman, released what he called a list of killings that occurred during the sixteen years that the Peoples Democratic Party governed Nigeria, as the government’s response to the recent killings of Nigerians in Plateau state. “How childish can the President and his handlers be? Do they know that by their inaction and by releasing this silly list to compare killings under the PDP to killings under Buhari they are reducing the sanctity of Nigerian lives to a mere killing contest? Omokri further accused the President of being notorious for commissioning projects initiated, started and completed by the various PDP governments of the last sixteen years. Adding, he said, “He commissioned the Abuja-Kaduna 187KM superfast railway and claimed credit for it, though he did not have any hand in the project. He never complained of sixteen years of the PDP when he was stealing their glory. “Why is it now that his herdsmen kinsmen are killing Nigerians that he is now comparing deaths with the PDP? What a kindergarten President Nigeria has in Muhammadu Buhari.